Euripides of Athens (ca. 485–406 BCE), famous in every age for the pathos, terror, surprising plot twists, and intellectual probing of his dramatic creations, wrote nearly ninety plays. Of these, eighteen (plus a play of unknown authorship mistakenly included with his works) have come down to us from antiquity. 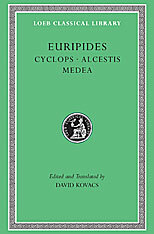 In this first volume of a new Loeb Classical Library edition of Euripides, David Kovacs gives us a freshly edited Greek text of three plays and an accurate and graceful translation with explanatory notes. The volume begins with Cyclops, a satyr play—the only complete example of this genre to survive. Alcestis is the story of a woman who agrees, in order to save her husband’s life, to die in his place. Medea is a tragedy of revenge in which Medea kills her own children, as well as their father’s new wife, to punish him for his desertion. Each play is preceded by an introduction. 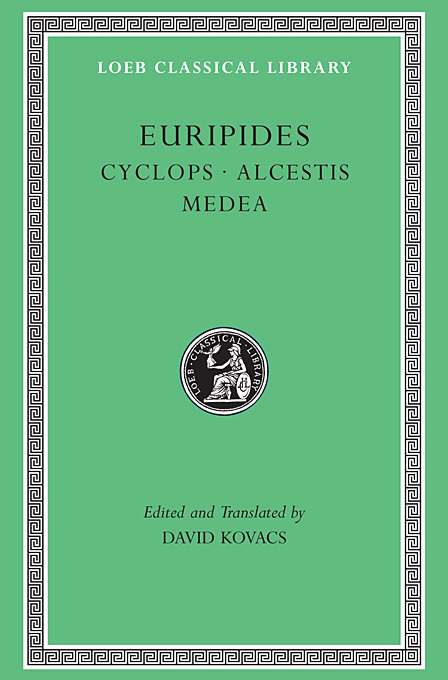 In a General Introduction, Kovacs demonstrates that the biographical tradition about Euripides—parts of which view him as a subverter of morality, religion, and art—cannot be relied on. He argues that this tradition has often furnished the unacknowledged starting point for interpretation, and that the way is now clear for an unprejudiced consideration of the plays themselves.